A percentage of the funds raised for The Biggest Week In American Birding's Van Trips will go towards the Barb Padgett Migratory Bird Research and Education Fund. Barb Padgett was an avid birder, conservationist, political activist, and beloved social media personality. ​This fund will provide support for Black Swamp Bird Observatory's long-time migratory songbird research and our youth birding and nature programs, aspects of our mission that Barb cared deeply about. CLICK HERE to donate to the Barb Padgett Migratory Bird Research and Education Fund. We’re really proud of the quality of our van trips. Small groups (only 10 people per van), wonderful leaders, and all for a great value. Please note: All van trips will leave from and return to Maumee Bay Lodge and Conference Center. Also: Each van will be numbered, so be sure to match your van number listed on your itinerary with the numbered van in the parking lot. Boxed lunches are available by filling out a form at the front desk of the Maumee Bay Lodge the day before. You do not have to be a registered guest of the Lodge to order a boxed lunch. Limited to 10 people per van; 1 van. Are you a beginning birder who would enjoy some time in the field with an expert leader who really understands the finer points of teaching birding? Or, perhaps you've never gone birding before and you're ready to give it a try! These trips will offer a very comfortable, easy-going, no-pressure day of watching, learning, and enjoying birds in a totally unintimidating way. **Bring a brown bag lunch. Or, you can pre-order a boxed lunch the night before at the front desk at Maumee Bay Lodge. Limited to 10 people per van; 2 vans. This trip to the Toledo Metroparks’ crown jewel--Oak Openings Preserve and surrounding area--is hugely popular and rightfully so! Known for its oak savannahs and ancient sand dunes, expert guides will help you find an assortment of migrating warblers as well as locally rare breeders including Lark Sparrow, Summer Tanager and Blue Grosbeak. Other species that are possible in the Oak Openings that are more difficult at the migrant traps include Pine and Hooded Warblers, Yellow-breasted Chat, Orchard Oriole, Red-headed and Pileated Woodpeckers and much more! We may also visit the nearby Kitty Todd and Irwin Prairie Nature Preserves, Secor or Wildwood Metroparks depending on local intelligence. Pointe Mouillee sits just under an hour from Maumee Bay State Park but offers a totally different birding experience than other spots in northwest Ohio. Mouillee is a vast complex of marshes, mudflat, open water, and thickets that attract species that are often hard to come by in other nearby locales. The focus on this trip will be ducks, waterbirds, shorebirds and rarities. While you’ll encounter warblers and other passerines along the dikes, this trip will have a pretty heavy focus on scoping the open spaces that can hold up to 20 species of ducks, even in May! With just a little luck, we could find something really amazing like an ibis, Yellow-headed Blackbird or better. After we’ve had our share of Pointe Mouillee, we will bird our way back to Maumee Bay State Park, hitting some key locations along the lakeshore that will inflate our day list with a variety of migrants. Please arrive at the pickup location no later than 6:30 AM. Click HERE for a map of the parking area. To the east of Magee lie some of the “birdiest” migrant traps, woodlands and marshes in the entire Great Lakes. Pipe Creek Wildlife Area will be our primary destination on this trip where it's possible to encounter a huge variety of species in a very small area. 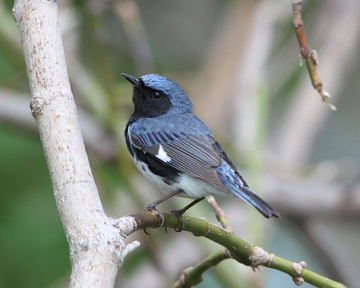 The woods at the parking area and adjacent path are usually teeming with warblers and other neotropical migrants and often rivals Magee for its activity. As we wander down the path, the woods give way to shrubby thickets where we will continue to see songbirds, and then eventually open up into a number of impoundments. We’ll walk the dike system there and because of the different habitats in such close proximity, our bird list will be impressive from this site alone. We may also visit Sheldon Marsh, yet another migrant trap that attracts hordes of warblers, vireos, thrushes and the like. Activity Level: EASY, but pace is fast! This trip will take you all over northwest Ohio in search of as many species as you can possibly find! Your expert guide will take you on a faster paced, day-long trip to the widest variety of habitats in the region. However, we will make sure that we spend more time on higher-quality species. We’d much rather spend a few extra minutes looking at a Blackburnian Warbler than a House Sparrow, after all! These full-day Big Day Bus trips will focus on the local birding hotspots depending on where the latest migrants arrive. You never know -- a competition just may break out between the two Big Day buses. Many visiting birders have never heard of the birding sites located on this peninsula, but all the local birders frequent these spots! East Harbor State Park will be one of our main stops on this tour, and if the winds are right, the number of migrants can be truly impressive. Other stops on this trip might include Great Egret Marsh, Cedar Meadow Preserve, Catawba Point Preserve, and Meadowbrook Marsh, providing a variety of habitats for a surprising diverse amount of bird species. 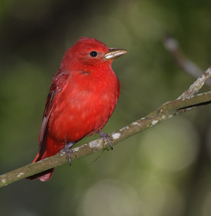 Warblers, finches, thrushes, and more all stop to rest along the peninsula preparing to cross the islands. May 4 and 9: limited to 10 participants per van; 2 vans. ​May 6 and 12: limited to 10 participants per van; 1 van. The rich marshes of Pickerel Creek and the diversity of habitats in the surrounding area offer participants on this trip a high diversity of species as well as a good chance at finding a rarity. In recent years, Pickerel Creek hosted White-faced and Glossy Ibis, Ruff, Eurasian Wigeon, American White Pelicans, Brewer’s Blackbird, and much more! You simply never know what you will turn up here. Limited to 10 participants per van; 1 van in the morning, 1 van in the afternoon. Our leaders will be keeping up with where the best birds are and will take you to those locations. This will be a fast-paced tour of some of the lesser-known hotspots located near Maumee Bay State Park. From migrant traps for warblers to chasing reported rarities, you never know where these trips might lead. Limited to 10 participants per van; 1 van. 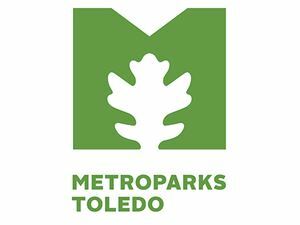 - Secor Metropark is just west of Toledo and a wide variety of migrants and breeders can be expected. The swamp forest here is home to forest species like Barred Owl, Pileated Woodpecker, Yellow-throated Vireos,Scarlet Tanagers, Hooded Warblers, Acadian Flycatchers and in some years, Cerulean Warbler. The wooded edges around the nature center often play host to excellent numbers of migrants as well. Just west and south of Secor lies Irwin and Schwamberger Prairies which offer a much different habitat and in turn a different selection of birds. Yellow-breasted Chat (Schwamberger), Blue-winged Warblers, breeding Rose-breasted Grosbeaks and many more can be found without a lot of difficulty. - Wildwood Preserve Metropark, which offers more nice forest as well as some excellent riparian habitat where Yellow-throated Warblers have been reliable the last several years. - Pearson Metropark. The north side of the property offers great marsh habitat where species such as Sora, Virginia Rail, and Marsh Wrens are likely to be found in the cattail stands and grassland species like Savannah and Grasshopper Sparrows will be in the open area. There may even be some shorebird habitat around. We’ll also have a look around the visitor center and bird feeding station where there are often a good number of migrants. The Green Creek Hunt Club Marshes located along the upper reaches of Sandusky Bay are both under-birded and rich in possibility. The property is permanently protected by a conservation easement held by Black Swamp Conservancy. Well-known for large movements of land birds along Green Creek and its associated swamp woods, this area also has a wide variety of wetlands and grasslands available to explore. Our expert field trip leaders will be scouting other neighboring private holdings daily to provide for a great diversity of birds each trip. Green Creek is a fine example of how hunt clubs provide great habitat, not only for waterfowl, but also amazing concentrations of songbirds and other wildlife. These trips are both popular and fruitful so be sure to make reservations early. You may not know the destination until you arrive, where our expert guides will lead you through a variety of wetland, swamp forest, and grassland habitats. You will explore these private properties for migrating songbirds, nesting specialties such as Bald Eagle, King Rail, Prothonotary Warbler, and a wide variety of marsh and waterbirds. May 4 and 8: limited to 10 participants per van; two vans. May 6 and 11: limited to 10 participants per trip; one van. The Christy Farm Nature Preserve is a 100+ acre riparian corridor along the Muskellunge Creek north of Fremont. The area supports a wide range of woodland birds during migration and breeding season and the trail system takes advantage of the Preserve’s woodland setting. This trip will also include a stop at a private grassland and a private wetland that in the past have produced some amazing species such as Bobolinks, Grasshopper and Savannah Sparrows, Eastern Meadowlarks and with a LOT of luck – Dickcissel or Henslow’s Sparrow. Expert guides will take you to visit Peninsular Farms, a private complex of grasslands, woodlands, and wetlands along the Sandusky River. The farm has a conservation easement with Black Swamp Conservancy and will eventually be deeded to Sandusky County Parks District. The site offers spectacular birding across a diverse range of habitats and is hidden treasure for migrating landbirds. The backwaters of the river and associated thicket habitats provide all the necessities for migrants looking for great stopover habitat. The Biggest Week team is very excited to introduce this NEW field trip location! The NASA Glenn Research Center in Cleveland has several satellite facilities, including the ten-square-mile Plum Brook Station in Sandusky, OH. Apart from housing four world-class test facilities for the international space community, Plum Brook Station is also one of the largest complexes of managed natural habitats in Ohio. The property is teeming with birds in habitat that includes swaths of original, pre-settlement Black Swamp elm-ash swamp forest, mixed-mesophytic deciduous forest, oak-hickory forest, oak savanna, and native tallgrass prairie. Hundreds of acres of dogwood brush, early-succession cottonwood forest and brushy cool season meadows are also featured onsite. PLEASE BE ADVISED! Plum Brook Station is owned and operated by NASA. As such, all participants on this field trip must pass a security checkpoint to enter the property. NASA security requires that participants are U.S. citizens and must bring a government-issued photo ID on the day of the trip. Since 2015, the Biggest Week Conservation Fund has been a catalyst for conservation in Northwest Ohio – the Warbler Capital of the World. Every year, countless donations, plus a portion of YOUR Biggest Week registration cost, go into the Conservation Fund. This sum is then awarded to one of our local partners in bird conservation. The recipient of the 2017 and 2018 Biggest Week Conservation fund was Standing Rush, LLC. On this trip, you’ll hear the inspiring tale of how Standing Rush is building habitat and fighting for conservation – just a stone’s throw from Black Swamp Bird Observatory and Magee Marsh. Of course, you’ll also get to experience an incredible landscape on 550+ acres of managed coastal marsh in the midst of restoration. Read more about Standing Rush here, at their blog. ​The trip continues with a tour of The Nature Conservancy’s Great Egret Marsh, the recipient of the 2016 Conservation Fund Award. You will meet with TNC staff to learn about this amazing restoration project while birding this spectacular site. ​A percentage of the proceeds from this field trip will go directly to The Biggest Week Conservation Fund.